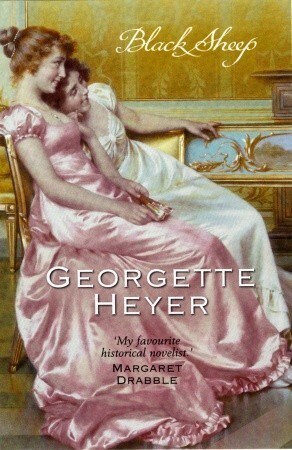 When I read Georgette Heyer’s works for the first time, many moons ago, this was very much my favourite. It’s always nerve-wracking returning to a much-loved book after a long time, but almost from the first page, I knew my memory had not let me down. This is surely the most scintillating dialogue Heyer ever wrote. Every meeting between hero Miles Calverleigh and heroine Abigail Wendover is delightful, and it’s hard to think of a single change which would improve the book. It’s quite perfect. 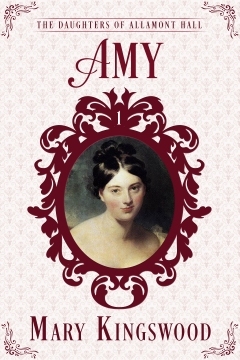 The premise: Abby returns to her Bath home aware that her niece, Fanny, has fallen violently in love with a plausible fortune-hunter, Stacy Calverleigh, under the auspices of Abby’s rather dippy older sister, Selina. Also returning home after twenty years in India is Stacy’s uncle, Miles, the black sheep of the title. 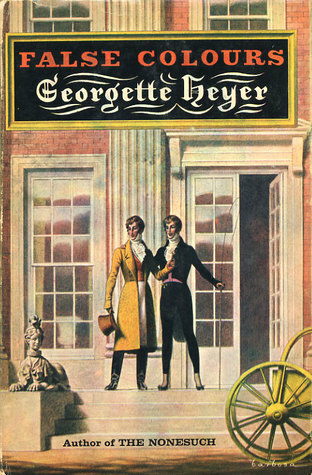 Naturally this leads to the most delicious exchange of misunderstanding between Abby and Miles (’Are you Mr Calverleigh?’ ‘I’ve never been given any reason to suppose that I’m not!’), but eventually she works out which Mr C he is, and then begins the most glorious courtship of any of Heyer’s books. I’ve complained many times that the romance tends to be forgotten in the excitement of the adventures, but here the growing love between Miles and Abby is very much centre stage. And there is no prevarication: he makes his attraction clear right from the start, and she is almost as open. In the background is the difficulty with the fortune-hunter, but luckily the object of his attentions, although fulfilling the standard Heyer role of beautiful but silly ingenue, is far less silly than usual, and there are no mad chases to recover an eloping couple or anything of that nature. I loved the means by which the obnoxious Stacy is dealt with, and I also loved Miles’ method of detaching Abby from her clinging relations, and finally getting her to the altar, as she herself wishes. Neatly done, and far more plausible than is often the case. I’m not a fan of the heroine who doesn’t know her own mind until the hero wraps her in his manly arms and kisses her thoroughly, and here Abby is perfectly well aware of what she wants. Five perfect stars. There’s something magical about an identical twin story, and this one is about as good as they come. Kit Fancot, as the younger brother, has taken up a diplomatic career. 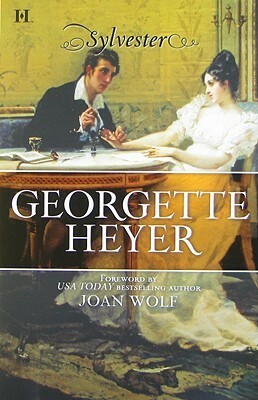 When he returns to England, he finds his brother Evelyn has disappeared, while on the brink of a very sudden betrothal. All the lady’s relations have been gathered to meet Evelyn, and to save his brother from embarrassment, Kit agrees to impersonate him. 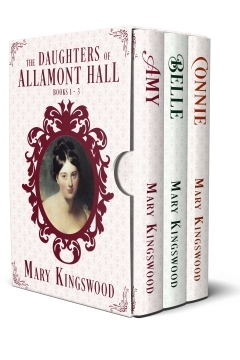 He scrapes through the meeting and retires to the family estate to hide away until Evelyn turns up again, but the young lady’s formidable grandmother invites herself and her granddaughter to stay with them. This is a crisis, so Kit’s widowed mother invites some starchy relations and one of her beaux to join them. Thus begins one of the most awkward house parties ever, not helped by Kit and the young lady, Cressy, beginning to fall in love. Of course Evelyn eventually turns up again, having fallen in love himself, and the brothers have to dream up some ingenious way to swap back their identities and pair up with their chosen ladies, without creating a scandal. The whole book is delightful, and one of the funniest Heyers ever. As with many of her tales, the principal characters are perfectly rational people, but the side characters are gloriously over the top. 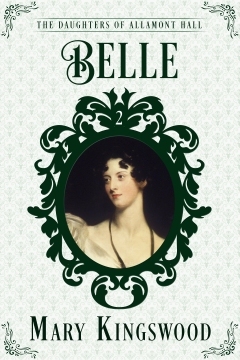 Lady Denville is clearly based on the outrageously extravagant Duchess of Devonshire, completely dippy about money but so charming that nobody ever minded. Well, except her late husband, who was a hard-nosed sort of bloke and gave her a rotten time. Sir Bonamy Ripple, her vastly overweight but very wealthy admirer, is no doubt based on the Prince of Wales, or Prinny, himself. These two, and the formidable grandmother, provide most of the entertainment, and the dialogue is utterly brilliant. The scene where Lady Denville persuades perpetual bachelor Sir Bonamy to marry her is masterful. Naturally all’s well that ends well, everyone ends up with the most suitable partner (yes, even Sir Bonamy!) and scandal is averted. Five well-earned stars. Hooray for a heroine who is smart, resourceful and knows her own mind right from the start! 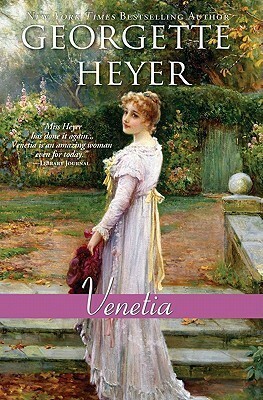 So many of Heyer’s heroines somehow don’t recognise their own feelings until the hero sweeps them into his manly arms and kisses them thoroughly, but Venetia is not of that type. She sees her soul-mate in Damerel almost at once, and isn’t the slightest bit deterred by his rakish past. In fact, at the end of the book, her urgency in wanting to get back to him is as much driven by fear that he will take another mistress as anything else. 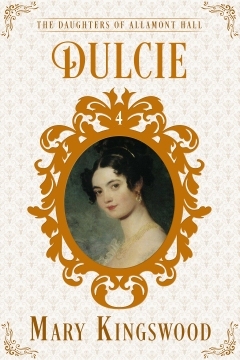 Venetia is twenty five, and has lived secluded all her adult life, firstly by the vagaries of her eccentric father, and later by the need to deputise for her absent brother, the heir to the estate, and her highly intellectual younger brother, who has a leg damaged by childhood illness. She is pursued by two dogged swains. One is a suitable and worthy but deadly dull man, who never respects Venetia enough to believe her when she says she doesn’t want to marry him. In fact, he never believes anything she says, because he’s a man and he knows better. The other is very young, suffering from over-romantic calf-love. Into this state of stasis drops the owner of the neighbouring, much neglected, estate, Lord Damerel, a renowned rake and ne’er-do-well. As is very commonplace in these stories, his every action within the confines of the book are perfectly respectable (with one exception – his first meeting with Venetia). 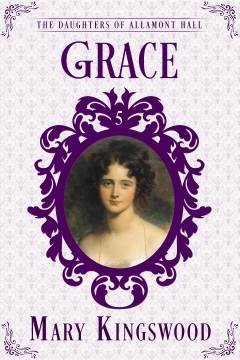 But from then onwards, he lives a blameless, not to say generous and open-hearted, life, setting his estate in order, taking Venetia’s hard-to-manage brother in hand and behaving with perfect propriety towards Venetia herself. It’s claimed that his objective is to seduce her, but frankly he never steps outside the bounds of propriety once, so it’s hard to believe. 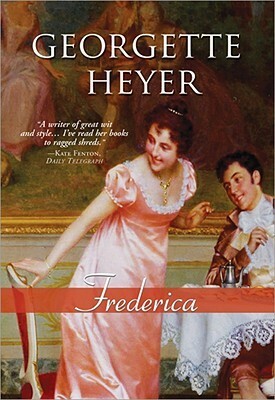 The romance in this book is one of the most natural and charming that Heyer ever wrote. These two are perfect friends, getting along so well that you wonder quite how they can ever be kept apart. But kept apart they are, and for that stupid old chestnut of a reason, ‘the heroine’s own good’. Fortunately, Venetia discovers the truth and, being a resourceful lady, sets about securing her own happiness with great determination. My eyebrows rose at her journey all alone on the mail coach, and there’s just a touch of deus ex machina in the way she resolves her difficulty, but whatever. ‘You’d know about my orgies!’ objected Damerel. ‘Oh, won’t you preside over them?’ he said, much disappointed. The final scenes are lovely, and there’s the usual array of wonderful minor characters to enjoy. This is more wordy and introspective than many Heyers, and I didn’t find either of the two suitors worthy of the amount of words expended on them, but never mind. A terrific heroine, a charming and un-rake-like hero and a wonderful romance – five stars. This was published the same year as April Lady, and is so much the better of the two that it’s untrue. The hero is a seemingly perfect gentleman, not a cynical, world-weary older man, and his only flaw is a tendency to arrogance. But then he is a duke, so perhaps that’s unavoidable. 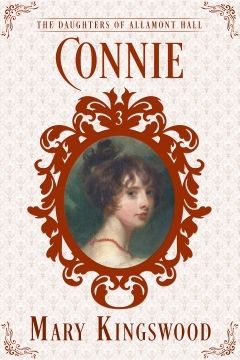 The heroine is a bright, independent-minded young lady, quite young (as Heyer’s heroines tend to be) but not at all the silly ingenue. The premise is that our hero, Sylvester, has decided to get married. He has a shortlist of eligible females, but his godmother bounces him into considering another (our heroine, Phoebe). She’s only met him briefly, but found him cold and reserved. She’s written a novel and made him, thinly disguised, into the villain. And when she hears he’s coming to the family home to offer for her, she’s so horrified that she runs away. This sets in train all sorts of Heyer-esque misadventures and misunderstandings, including an enforced stay in an inn, where Sylvester plays the hero rather than the villain, and both hero and heroine discover that the other is not as bad as rumour painted them. But when the novel is published and Sylvester learns that Phoebe has made him a laughing stock, things get very sticky. The scenes between Sylvester and Phoebe shine, but there are also some fairly tedious passages that I was basically skim-reading just to get through them. In particular, the histrionics of Ianthe and her swain got old really, really quickly, and by the time we got to France, I was just hoping for Sylvester to turn up and make things interesting again. The romance works better than many Heyers, in that the developing relationship between the hero and heroine is clear to see. I liked, too, Sylvester’s disintegration from suave society man who always knows the correct thing to say to incoherent lover, getting everything wrong. But Phoebe is just a termagent at this point, and I really wanted to slap her. So many Heyers end with the heroine too stupid to recognise her own feelings, and having to be forced to acknowledge them by the hero sweeping her into his manly arms for a passionate kiss. I’d like it if, just once, the story could end with him proposing and her accepting him in a sensible manner. Still, four stars for a nice romance, some laugh-out-loud moments and a good array of excellent side characters (the horrible Ianthe notwithstanding). 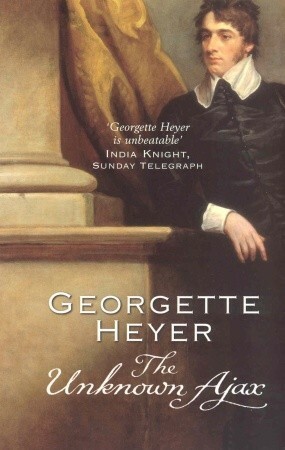 This is one of Heyer’s books that I remember vividly from my original read many years ago, and not in a good way. I’ve not been looking forward to reaching this point in my reread. 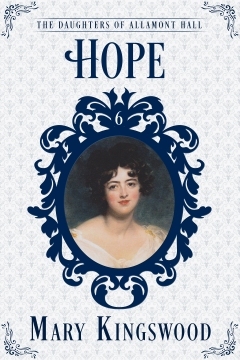 It has so many of the motifs I really dislike: the worldly older hero, the silly, very young heroine, the misunderstandings, the main romance pushed aside by the subplots… Not to mention there’s also a second silly, very young female, plus (another Heyer favourite) a rather wild young man. The overriding problem is the relationship between the hero and heroine. In the very first scene, he is telling her off for running up so many bills and she’s miserably apologetic, and although there’s no heat in his manner, it still comes across as something not very much like a married couple. An uncle/niece, perhaps, or a teacher ticking off a naughty schoolchild. And even though he’s somewhat affectionate towards her, his manner is more avuncular than husbandly. It’s certainly not a marriage of equals, and one wonders just what he sees in her. The other problem is that every difficulty between them could be resolved if they just sat down for five minutes and talked to each other. But no, she jumps through endless hoops to avoid telling him something trivial, and he gets all huffy and uptight, and frankly, they deserve their misery. As for the subplot with the ridiculous sister, the less said about that the better. 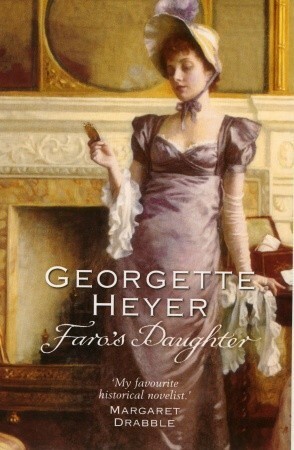 This is the first Heyer I actually skim-read just to get through it, and even then the payoff wasn’t worth it. There’s a point where the heroine sets off to confess all to the hero (at which point, I’m yelling ‘YES!! !’), she realises he’s misunderstood something and instead of just explaining it, she dashes all over London trying to resolve things single-handed, while he’s dashing around after her. And of course, there’s a whole heap of prime Heyer shenanigans as a result, but by that time, I just wanted to bang their heads together. This is one romance where it’s impossible to see how the marriage will last. Sadly, this doesn’t merit more than two stars. 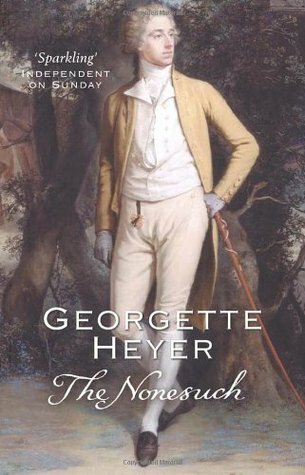 I missed this one in my chronological reread of Heyer’s Regency romances because it’s actually set in the 18th century, but apart from the occasional mention of brocade coats and lace frills and sac dresses, it’s indistinguishable from the other romances. The hero is the usual world-weary older man, arrogant to the point of rudeness. The heroine is the spirited and independent sort, not quite the Grand Sophy or Serena from Bath Tangle, but along those lines. There are not one but two doe-eyed ingenues, and one callow buck, so we are on familiar ground here. Here’s the premise: gaming club hostess Deborah Grantham has attracted the attention of young Adrian Maplethorpe, who fancies himself in love. Believing Deb to be a fortune hunter, Adrian’s trustee Max Ravenscar sets off to get rid of her. First he tries to bribe her, but she is so insulted that she refuses, and so sets in train a series of escalating reprisals between the two. 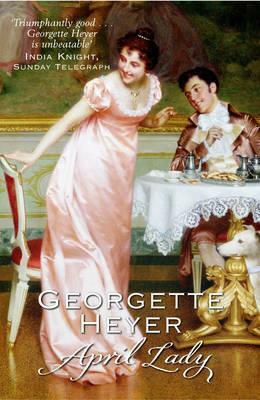 These are not my favourite Heyer characters, by any means, but the story was so entertaining and laugh-out-loud funny that I loved it anyway. The whole wine cellar incident is just sublime. There was only one wobbly moment right at the end, where the hero confesses his love and tells her he wants to marry her, and she’s so angry at him she just can’t stop shouting at him. That makes her seem like too silly for words. Could she not at least have had a wait-what? moment, and stopped shouting long enough to recognise the fundamental change in their relationship? 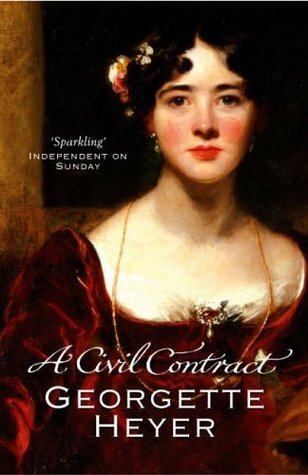 But ultimately, one doesn’t read Heyer for the rational behaviour of her heroines (or heroes either), so this is another five star read for me.